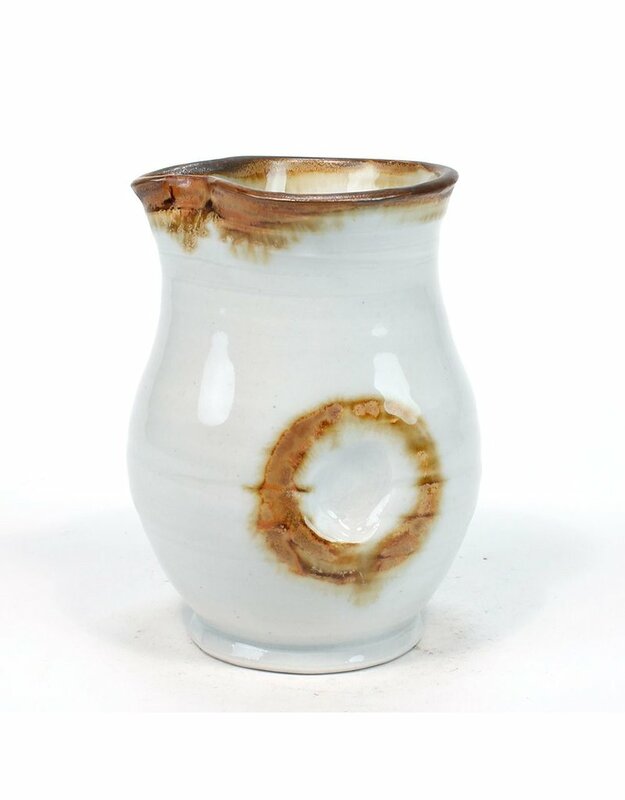 This small pourer by Kevin Caufield is both subtle and delicate. 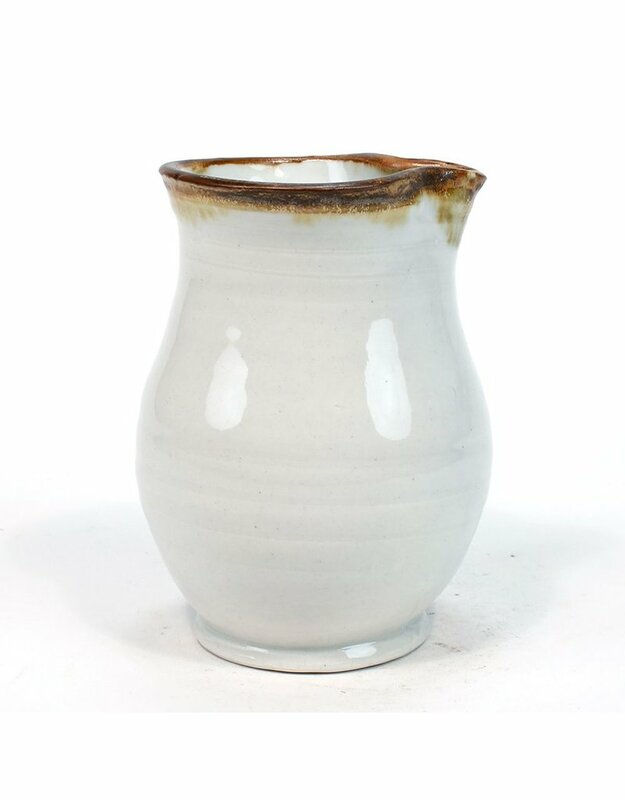 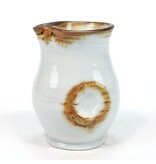 The soft white glaze is embellished with an iron wash along the rim and thumb hold of the piece, which adds a certain rusticness to the vessel. 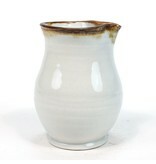 Use for soy sauce or sake at your next sushi party!